This article was last updated Jun 05, 2018, but some terms and conditions may have changed or are no longer available. For the most accurate and up to date information please consult the terms and conditions found on the issuer website. On Dec. 17, 2014, President Barack Obama reopened diplomatic relations with Cuba 55 years after Fidel Castro took over and installed a communist regime. This included a loosening of travel restrictions to the island nation in 12 categories, including “journalistic activity” (the category I used) and “support for the Cuban people” (what my family used). The move also allowed travelers to use U.S. credit and debit cards in Cuba — but only ones approved by the U.S. Department of the Treasury’s Office of Foreign Assets Control (OFAC). OFAC is responsible for administering and enforcing economic and trade sanctions, including authorizing banks whose credit and debit cards Americans are allowed to use in Cuba. My family went on a five-day trip to Cuba in June 2017. As we started doing the research for the trip — where to stay, how to get around, places to eat, things to do and see — we discovered that none of our U.S. credit cards could be used in Cuba. To prepare, we paid for as many things as possible before the trip, including our Airbnb, our transportation to and from the airport and our local tours. We then went to AAA, converted $1,000 into Canadian dollars, brought another USD $200 in case of an emergency and hoped for the best. We had a great time, but I was always worried about either having our money stolen or running out of it before the end of our week-long trip. So what are your options if you want to visit Cuba, but you’re wary of carrying a lot of cash? Currently, there are three banks — Pompano Beach, Fla.-based Stonegate Bank, San Juan, P.R.-based Popular, Inc. and Florida-based Natbank, a wholly-owned subsidiary of National Bank of Canada — that offer credit and debit cards that can be used in Cuba. In November 2015, Pompano Beach, Fla.-based Stonegate Bank became the first to unveil a non-cash option for U.S. citizens visiting Cuba. It was a debit MasterCard that travelers could use at any of Cuba’s 10,000 hotels, restaurants and other card-accepting companies. In June 2016, Stonegate announced it was issuing a MasterCard credit card that could also be used in Cuba. However, in September 2017, Stonegate was acquired by Conway, Ark.-based Home BancShares; that credit card has since been discontinued, according to Dave Seleski, who was Stonegate’s CEO when the cards were unveiled and is now Home BancShares’ regional president for Florida and Cuba. “We stopped that program because customers only got them to use in Cuba. After that the cards just sat in a drawer,” Seleski told Comparecards.com. 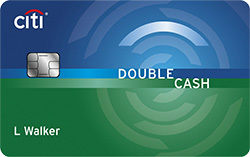 The Stonegate Bank Debit Card is still available, however, as well as corporate credit cards. The debit card is tied to a checking account at the bank, Seleski explained. “The debit card is more valuable because you can use it at ATMs. It’s also the cheapest way to convert U.S. dollars to Cuban Convertible Pesos (CUCs),” he said. There’s a $5 ATM fee, but you don’t have to pay a conversion fee and it’s a better exchange rate, he added. World MasterCard, Popular Bank Rewards and Popular Bank Platinum MasterCards can all be used in Cuba, according to a spokeswoman. 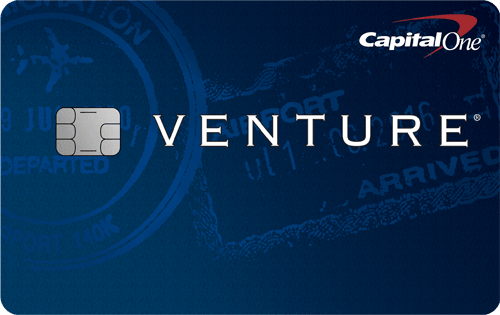 All three cards do charge a foreign transaction fee of 1.4% of each transaction in U.S. dollars. Your best bet for a simple card to have in Cuba is the Popular Bank Platinum card. While you won’t earn any cash back with it like the other two Popular credit cards, it does come with no annual fee and a 0% introductory APR on purchases for the first 12 months. The APR then goes to a variable rate of 14.49% to 25.49%. There’s no charge for additional cards. It comes with perks like emergency card replacement and emergency cash advance, which could be helpful if something goes wrong during your trip. Get your paperwork in order before you go. No matter what card you have, you’ll need to ensure that its active and that you’re traveling under one of the 12 categories authorized by U.S. regulations. You’ll be required to complete a document acknowledging that the card may only be used in connection with one of the 12 categories authorized by U.S. regulations. It’s also important to check with your card to see if it charges foreign transaction fees and how much they are. Understand that you’ll still need cash for many things. Susana Corona Cruz, 31, is a Cuban native based in London and author of the travel guide Cuba Unwrapped. According to Cruz, in terms of credit card use, holders of Stonegate, Natbank or Banco Popular’s MasterCard have nothing to fear, because their transactions in Cuba will still be allowed. But outside of those cards, there aren’t many other options available for U.S. citizens who don’t want to bring large amounts of cash to Cuba. Prepay for as many elements of your trip as possible. U.S. citizens should try and pre-pay as many elements of their trip — like accommodation, transport, excursions and tours — so they only need a smaller quantity of cash to spend on extras like meals and souvenirs, said Cruz. However, she warned, “be mindful of the fact that Cuba imposes a 10% fee on the exchange of U.S. dollars.” When prepaying for expenses, you may want to check our recommendations for the best travel credit cards. My family and I were fortunate because the Airbnb we rented in Havana came with a safe in the bedroom closet where we could stash our cash. We were also in walking distance of several CADECAs and the Hotel Habana Libre when we needed to exchange our U.S. or Canadian dollars. Many of the places we visited did take U.S. dollars, but we prepaid for as much as we could. Another alternative to carrying cash is travelers checks. You can use them in Cuba, but there’s a catch — they have to be issued by non-U.S. banks, according to travel planning company Via Hero. They’re a good alternative because they can be replaced in the case of loss, theft or damage. Via Hero recommends using travelers checks issued by Visa, noting they can be used at most banks, CADECAs, hotels and tourist-related businesses. These places do charge between 3% and 4% for cashing them, it added. But what if the worst happens — you run out of money? The U.S. Embassy in Cuba can offer some assistance, although that doesn’t include loans. Consular officers can help you contact your family, bank, or employer to arrange for a transfer of funds. Another option is Cuba-based Asistur, a company that specializes in helping visitors. Among its services is offering cash advances until a deposit from the U.S. arrives. If you’re going to Cuba and you don’t want to jump through the hoops to get a credit or debit card to use there, then cash is your best option. Look for lodging that offer safes to hold your cash, or consider buying a hidden money belt. But most of all, try not to worry too much and instead, enjoy everything that Cuba has to offer.